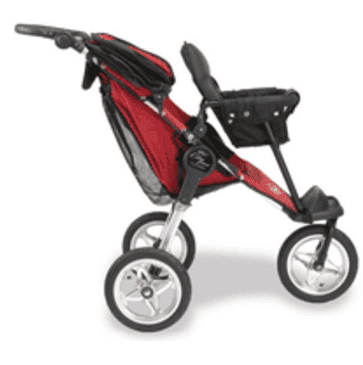 About 337,000 in the United States B.O.B.® single and double strollers have been recalled. A drawstring on the stroller can get wrapped around a child’s neck, posing a stroller strangulation hazard. This recall involves 11 models of B.O.B. Trailers Inc single and double strollers due to a stroller strangulation hazard. The name “B.O.B” appears on the cargo basket under the stroller and on the front of the stroller. All of the recalled strollers have a yellow/orange drawstring at the rear of the canopy which is used to gather loose fabric when the canopy is pulled back. 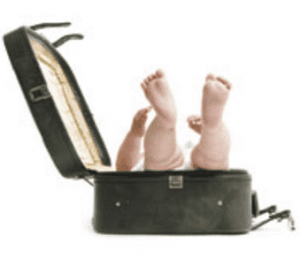 The strollers were available between April 2002 and February 2011 for between $300 and $600. Consumers should immediately stop using the recalled strollers and remove the drawstring. Contact B.O.B. Trailers at (855) 242-2245 to find out if your stroller is involved in the recall. If using a separately purchased Weather Shield or Sun Shield accessory with the recalled stroller, contact B.O.B. Trailers for a free canopy retrofit kit.